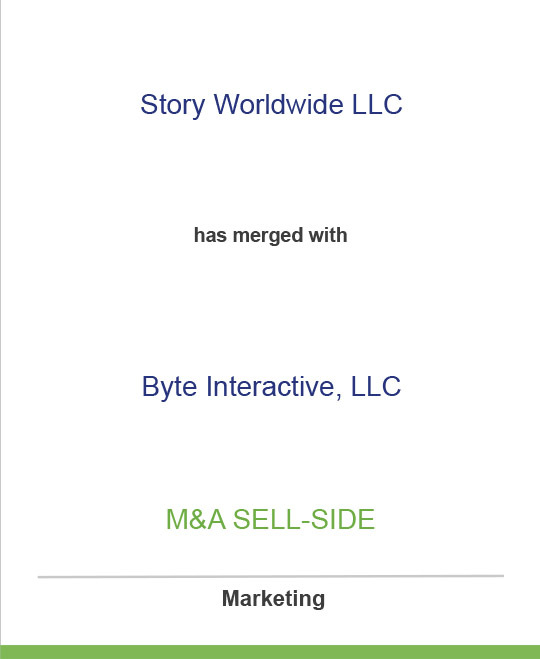 Story Worldwide is the world’s largest independent content marketing agency. It was formed through a management buyout of the former custom publishing division of the Interpublic Group of Companies in July 2005. The company’s global clients include Lexus, RCI Global Vacation Network, Microsoft, UPS and Bank of America. Byte Interactive is a leading interactive agency. It was formed in 1997 and produces award-winning work for more than a dozen major clients, including Unilever, Nestle, Coty and other major international brands. The merged company has more than 160 employees in London, Seattle, New York and South Norwalk, CT, and is now the world’s first media and marketing services company with equal expertise in marketing strategy, interactive development and content creation. Seaport Capital is a NY-based private equity firm providing equity to middle market media, telecommunications, information and business services companies. The firm focuses its efforts on private companies with market capitalizations between $15 and $200 million, equity needs of $5 to $35 million and management teams that are talented, committed and interested in having a value-added financial partner to help them achieve their goals. Pacific Media Capital, which provided senior secured revolving and term loans to Story, was formed to provide flexible and creative financing to companies underserved by traditional sources of capital. Its primary sectors of interest include television, radio, publishing and cable. A lengthy deal history and flexible capital sources position the firm to work cooperatively with equity sponsors to provide unique capital solutions.